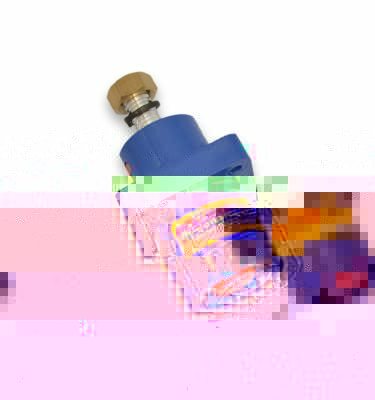 Powersafe Neutral Connector. 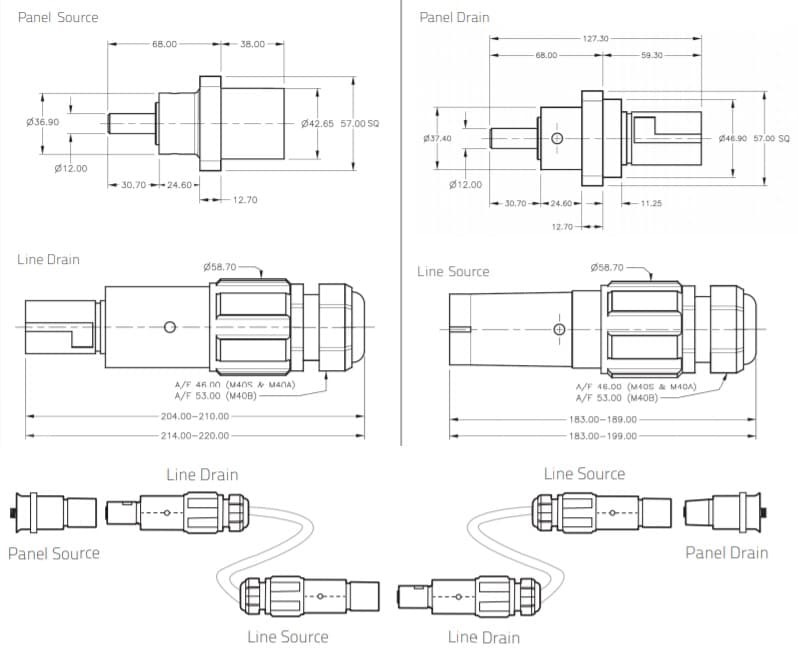 Configure Your Connector Below. 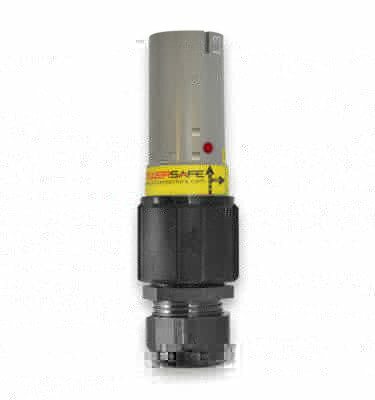 Phase 3’s Powersafe single pole connectors are the highest rated, safest and finest quality neutral powerlock type plug available. 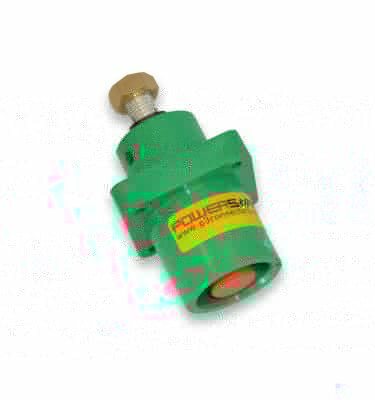 Powersafe are used by the power distribution, events, military and cable assembly industries worldwide. 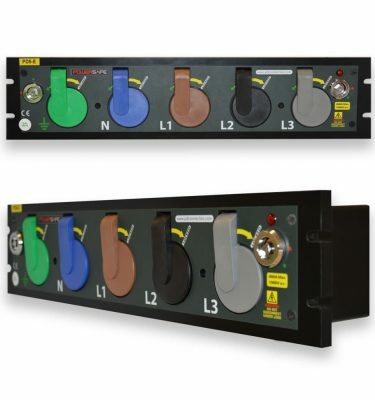 Powersafe neutral line connectors easily terminate to copper cable using either industry standard crimp tools or set-screw contacts. 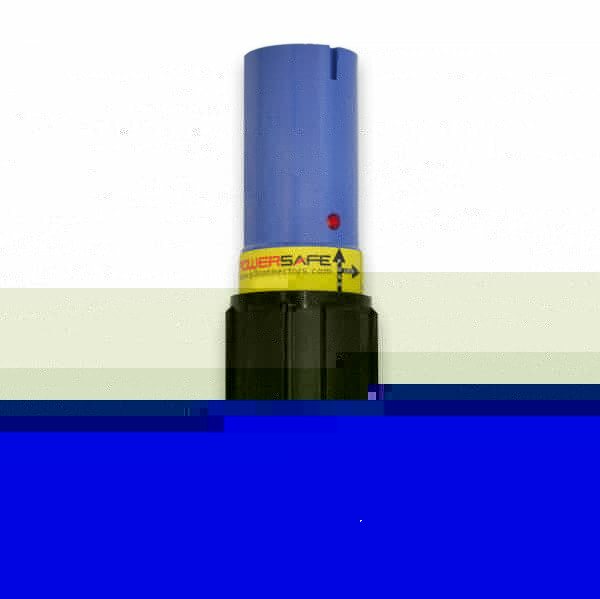 Secure coupling of the three phase plugs and sockets is achieved through an innovative mechanical locking system that disengages with a simple release key. 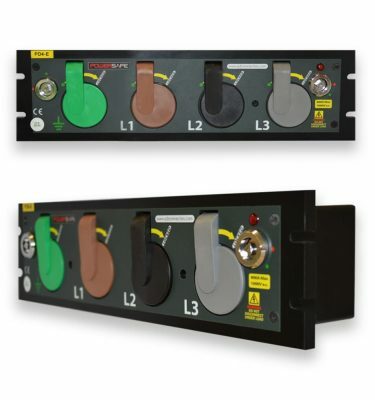 The neutral single pole connector mates with a neutral panel mount. 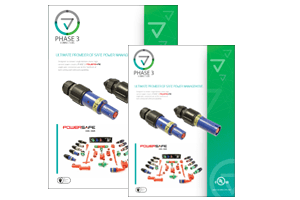 All Phase 3’s heavy duty industrial plugs are designed, assembled and manufactured in the UK with materials sourced from Europe and America. Our conductive metals are always 99.9% pure materials, as we deliver the highest quality product in the industry. Our Compliance Team have full control of the supply chain; all our main suppliers are ISO accredited businesses and products are UL, VDE and CE certified. 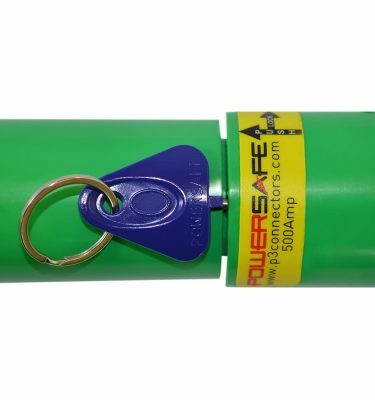 Powersafe powerlock neutral connectors come with a hand grip as standard to assure protection of the insulator and improve usability. 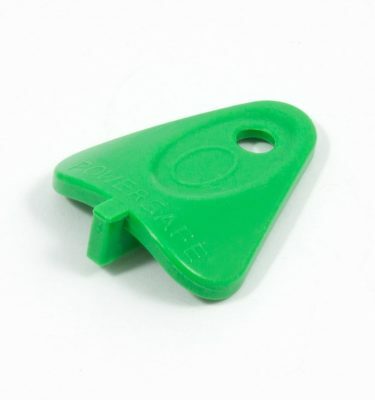 We offer customisation of the hand grip with your brand’s colours and logo depending on quantities ordered.